If you are looking for a wet & dry shaver, then you definitely have to check out the Braun Series 7 799cc shaver. 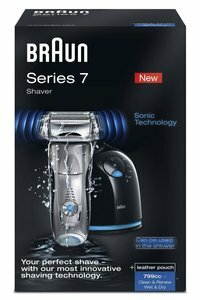 This Braun Series-7 799cc shaver review will help you to realize why this is an efficient shaver for your daily life. You know that most of the ordinary electric shavers are wet and dry, but this shaver is an advanced model compared to other shavers in the world. According to the manufacturer’s specifications, this shaver charges very quickly compared to other chargers. It has the ability to charge within just 1 hour. It can work for 50 minutes of nonstop shaving. This shaver is treated as one of the best cordless electric shavers. If you search for the best electric shaver that is made by Braun, it would be this shaver; it performs better than previous models by Braun. Among them, the 7 799CC-6WD CC4 is one of the best models Braun has ever created. This model includes the wet and dry functions and has a self-cleaning and foil system. This shaver has the ability to make it friendly to our sensitive skin. The shaver manufacturing company Braun welcomes this new series 799CC. This model is an advanced dry shaver, that can easily be used as a wet shaver as well. We can easily do it without changing shaving activities. Many attractive features are available in this model. If you don’t buy it, you will miss out on these attractive features. Now I am discussing the features of this shaver which is desired by many customers. Since a lot of people have sensitive skin that is easily irritated, it is very helpful if they do wet shaving. This famous shaver will provide you a great freedom to select dry or wet shaving options. This shaver is efficient for normal skins and can be used as a wet shaver. There are 10,000 micro vibrations in this shaver. This amazing shaver has the ability to capture all single hair of your skin that can easily provide you with a clean shave. It is a great feature of this shaver. Most of the shavers have no options like this, but 799cc models has 3 personalized options. It is rare in other shavers. These options will permit you to setup the shaver according to your requirements. It is another great feature of this latest model of best Braun series. It was made to provide you the ultimate shaving experience in your life. This option is fully flexible for you. It has the ability to shave all areas without cutting or nicking your skin. If you have trouble shaving your face or neck, try to use this 799cc shaver. It is true that most of the electric shavers can’t trim underlying hair, but this shaver will give you a tremendous opportunity to get a new experience in shaving. This shaver is powered by an active lift. If you do the calculation, you have to pay $80 to do a clean shave. This Braun 799cc has an ActiveLift feature that traps flat-lying hair and cuts hair that’s super close to the skin. During the whole process, you won’t feel any stretching on the skin. It will work smoothly according to your needs. If you are not happy other electric shavers of lesser quality, then you will have to select this electric shaver for your daily activities. The shaver manufacturing company Braun knows what exactly users want and what their expectation is. 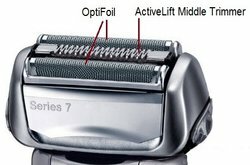 This new shaver has an Opti-foil feature. It allows the shaving kit to cut every single hair. If you want to get smooth skin, then this shaver is the top shaving kit for your daily life. You can easily forget those shavers that need lots of cleaning time after use, but this new shaver has an auto-cleaning system that can clean its blades. It has the ability to lubricate them as well as sharpen the blades & dry the shaver according to your needs. This new model shaver is different from others. There is a similarity with Braun Series 7-790cc model. That’s why there is no way to miss the previous experience of other old models. The shape of this model is curvy and easy to grip in our hands. There is rubber on the sides of the shavers. It provides us a easy grip. It can’t slip off while wet shaving in the shower. Who needs Braun Series-7 799cc Shaver? People who can’t dry shave with Braun 790cc – This amazing shaver is efficient for dry shaving. This Braun shaver is rated as one of best electric shavers for men of 2018. This shaver cuts beards and hair. According to the report of manufacturers, this 799cc is efficient for both wet and dry shavers. People who wish to get a close shave – If you buy this shaver, you will be able to get a clean shave with this 799cc model. Although most old model shaving kits will give you a closer shave, this shaver is still one of the best ones to get a close shave. People who have rough beards – People use some steel-made shavers for cutting beards and hair. These electric shavers won’t shave them properly, but this shaver has sharp blades which can easily cut coarse beards and hair. There is an ActiveLift features which is an amazing feature that will ensure us that there is a very close shave. You can invest money to a kit which can provide more than shaving needs. This 799c is a great solution for you. It is a great concern by most of the people in the world that people want to pay for the best quality. People want to buy a shaver with good quality and service and a great product can save you money. You don’t need to change the blades to replace the old ones like other shavers. If you buy 799CC 6WD CC4 Shaver, then you will have to replace its blades after 18 months of using them. You can use these razors for about 2 years and in the long run, it will just save you money. This Braun shaver has a small head that can be compared with other shavers. 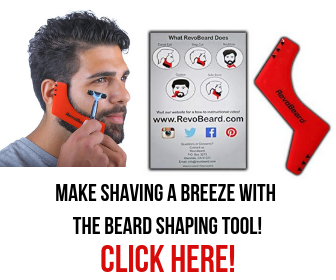 This amazing feature can make it simple to shave at a sharp angle. It can improve our maneuverability. If you use the best electronic shaver with a big head, then you will face many troubles while shaving. This 799cc shaver has the super cleaning option. That’s why you can buy this shaver without hesitation. This Braun shaver got a rating of 4.6 out of 5. It means that almost 95% of customers are satisfied with the performance and results, thus you can easily enjoy a better, clean shave by using this shaver. Most of the consumers are happy to use this shaver for its regular service. It is an essential item for daily life. It is a great product which is efficient for all types of people in the world. This shaver has many positive reviews. On Amazon, you will get many optimistic reviews from many users. Where to Buy this Shaver? A new technology is used to produce this shaver for our daily life. It is a great product from Braun. Panasonic ES LV95S is the only shaver that can compete with this shaver. This manufacturing company always provides top quality electric shavers like the Braun 9 series shavers at a reasonable cost. This amazing shaver is available in many shopping malls. If it is not available at your local stores, then you can buy from Amazon.com directly and it can easily be ordered online. They have a good distribution system and can deliver products from anywhere in the world. 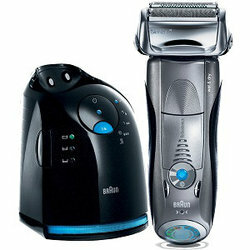 You can buy this top class shaving kit without any doubt after reading the full Braun Series-7 799cc shaver reviews.